One of the best e-liquid flavours for relaxing is menthol. A refreshing cool blast from a menthol vape can really help to set you on your way at any time of day - or even just help you to relax further. 88Vape Menthol E-Liquid is an affordable, quality menthol e-liquid for your vaping needs. The number 88 may symbolise luck in the Chinese tradition, but there's no luck where 88Vape are concerned. They simply proceed from two key principles: unrivalled pricing and high quality. All their e-juices are UK-made and use 100% organic and natural flavourings. Menthol E-Juice is supplied in 10ml bottles and has two different strengths available for your preference. The powerful icy blast from this menthol e-liquid is sure to refresh and is perfect for cleansing the palate. Menthol E-Liquid has a combination of 20/80 (VG/PG) for a sweet vape with a powerful throat hit. 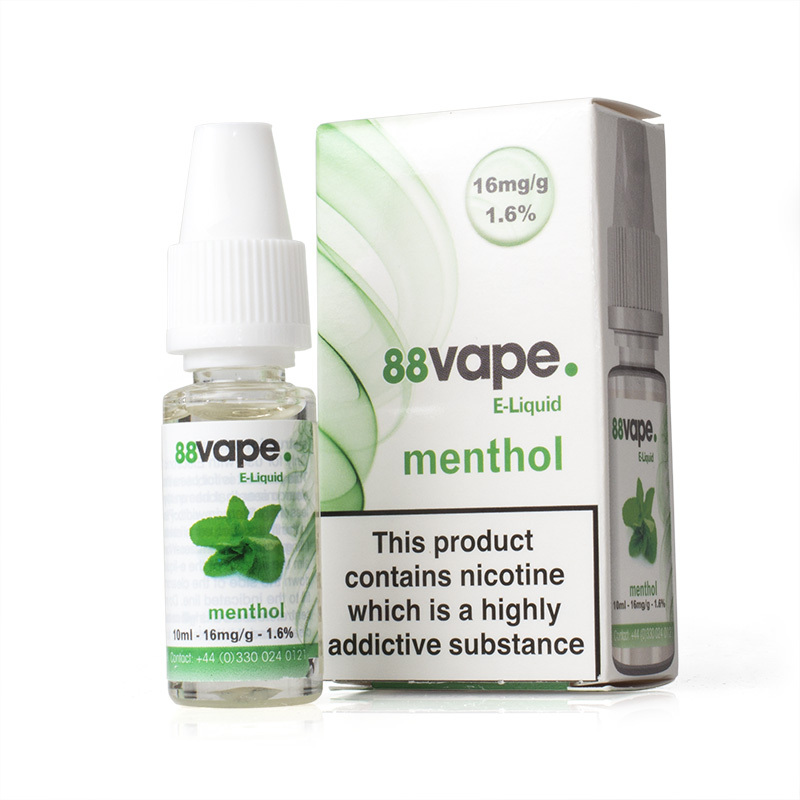 88Vape Menthol is supplied in 10ml bottles only. Please be aware that once a bottle of E-Liquid has been opened, we cannot accept it back as a return. Products that are returned unopened in a resellable condition within fourteen days of receiving the goods are suitable for a refund. We apologise for any inconvenience that this may cause, but this rigorous returns policy is designed to ensure that you only receive products of the highest quality. Please note that this returns policy does not affect your statutory rights as a consumer.